When Victor Hugo passed through Bayonne and stopped in front of the ramparts, he was unable to curb his dismay: “What unfortunate landscapes deemed necessary to fortify! ...It may be considered to be one of Vauban’s masterpieces, But it is certain that Vauban’s masterpieces interfere with God’s masterpieces”. If the poet’s “Le Voyage aux Pyrénées” had led him a bit further east, he would have had many other opportunities torecriminate...or admire. The border was displaced from Corbières towards the Pyrenean range after the signature of the Treaty of the Pyrenees in 1659. King Louis XIV decided that Roussillon was a strategic place which needed to be defended. He asked Sébastien Le Pestre, the Marquis of Vauban, to fortify many Pyrenean towns, particularly to the east of the range. 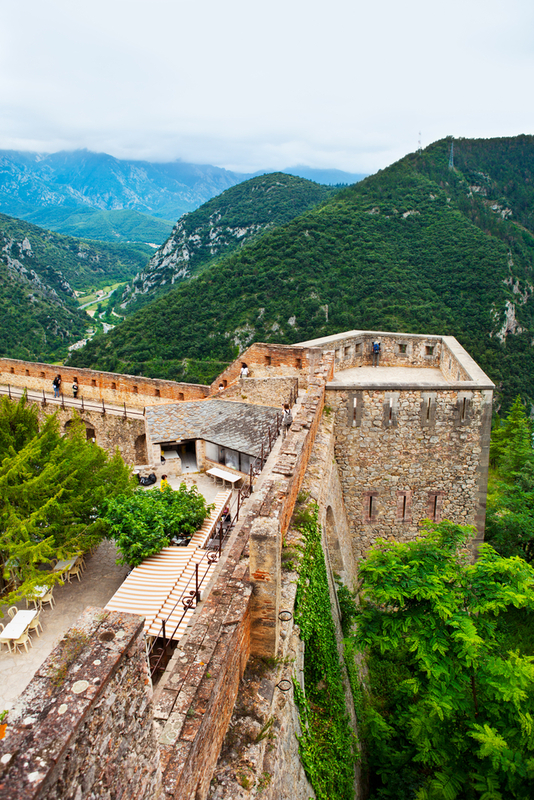 The list is long, starting with Villefranche-de-Conflent and Mont-Louis in the Pyrenees-Orientales, two of the 12 major sites by Vauban included in the UNESCO World Heritage list since July 2008. As a result, Mont-Louis, at the entrance to Cerdagne, became the highest fortified town in France, at 1,600 metres. 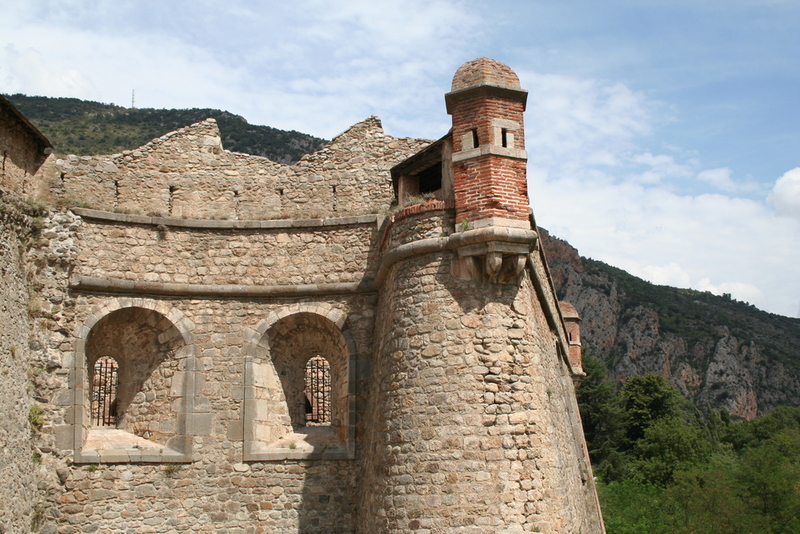 Amélie-les-Bains, Salses-le-Château, fortresses built by the Spanish in the 15th century, and partially renovated by Vauban from 1691, the Fort de Bellegarde above Perthus, the Fort Libéria in Villefranche-de-Conflent, and Prats de Mollo, are all part of Vauban’s work. Vauban had less impact at the other end of the Pyrenees. The Saint-Jean-Pied-de-Port fortress in the Basque country was built by Pierre de Conty de La Mothe d’Argencourt at the beginning of the 17th century and only lightly modified according to Vauban’s instructions at the end of the century. The fortified town of Navarrenx in Béarn cannot, contrary to certain written records, be attributed to Vauban at all. Rather it is the work of the Italian, Fabricio Siciliano, who made Navarrenx the first fortified city in France a century before Vauban. As for Bayonne’s fortifications, these days they only shelter lovers or provide a little shade for tired festival-goers.